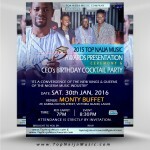 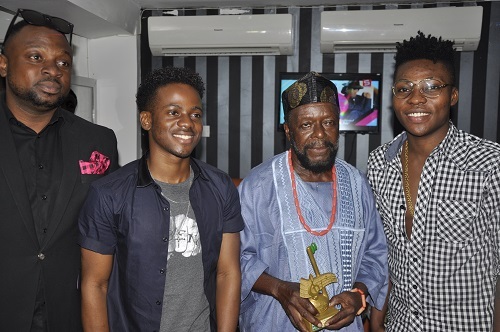 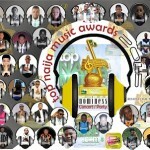 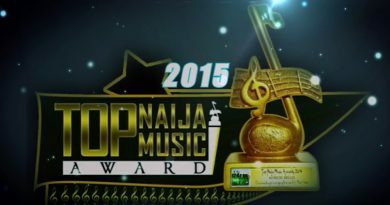 The day every nominee of Top Naija Music Awards is finally here. 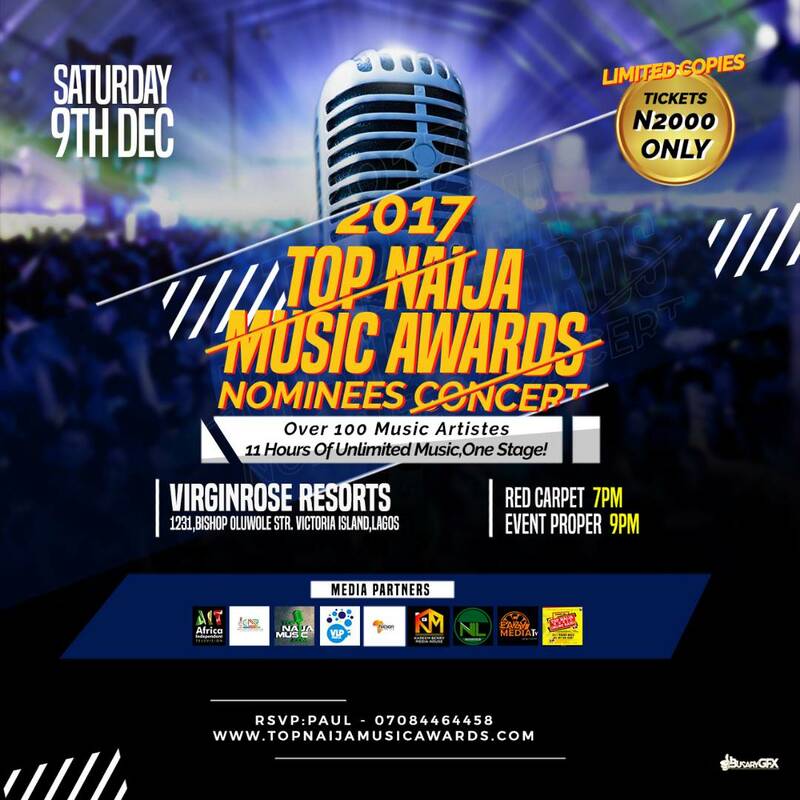 Its the 2017 Top Naija Music Awards Nominees Concert taking place on Saturday 9th December, 2017 at Virgin Rose Resorts, Bishop Oluwole Street, Victoria Island, Lagos. 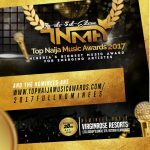 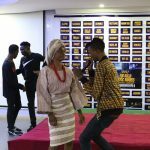 Amongst the several nominees set the put da stage on fire are Jhybo, Demmie Vee, OgaKizito, Olaboi, Lilchi, Shuleydee, Jaga, Diamond David, Junekeed. 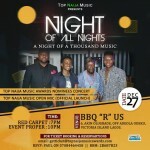 It is an all night of fun, music and glamour. 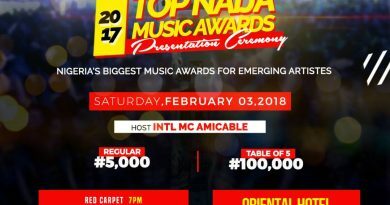 Red carpet begins by 7pm while the event proper starts by 9pm. 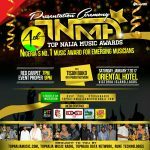 VLP Media, Eazymedia, AIT Network, Top Naija Music Radio amongst others. 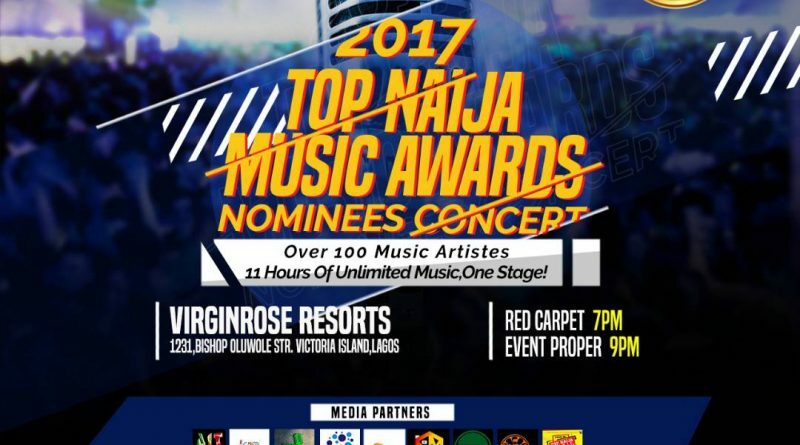 ” While the nominees concert holds today, voting which is still on-going will come to a close on December 19, 2017, while the winners will be announced on December 27, 2017 at a twitter event,” so said the Founder, Mr Paul Oghoghorie.